An unbeatable, pocket-sized guide to Rome, packed with insider tips and ideas, colour maps, top 10 lists, and a laminated pull-out map - all designed to help you see the very best of Rome. Staying for longer and looking for a more comprehensive guide? 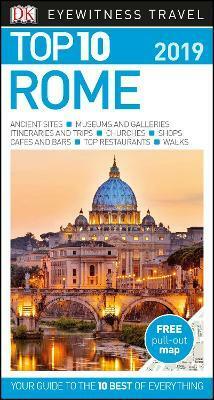 Try DK Eyewitness Travel Guide Rome or DK Eyewitness Travel Guide Italy. Freshly printed for 2017, complete with a pullout map, it sorts the city into a series of top tens [...] its wealth of detail merely serves as a starting point for your own voyage of discovery. Italia!